MED e-care’s eMAR offers clients an innovative and integrated solution to medication administration and is available in web-based and offline (syncable) applications. With eMAR back up reports you can always feel secure that you have the right medication and the right resident, even without power or internet. 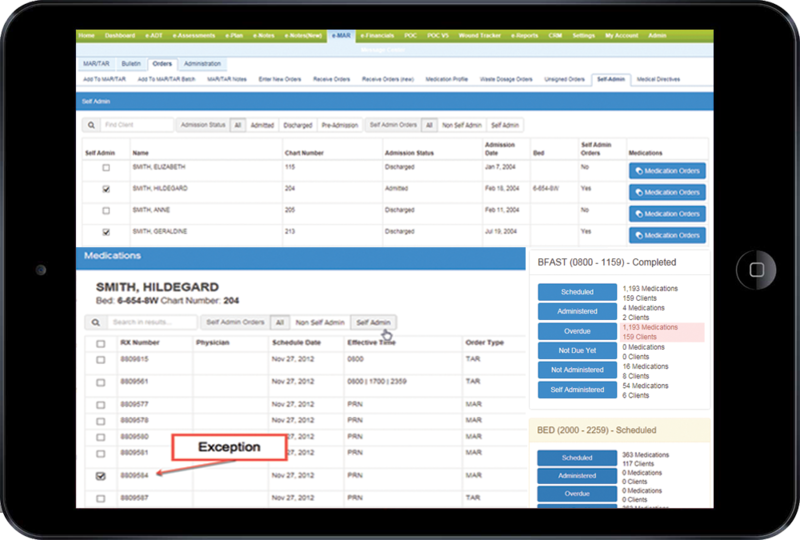 MED e-care’s eMAR is the only Electronic Medication Administration Record that is fully integrated with many pharmacy dispensing software systems, allowing for a single point of entry for residents’ drug information by pharmacy. 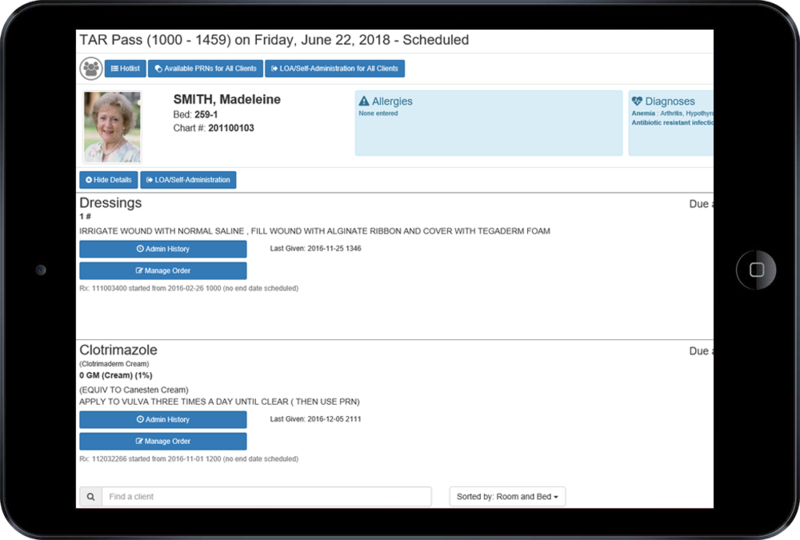 Staff have the ability to manage medication orders directly from the eMAR administration screen; medications can be discontinued, reordered, or placed on hold during a MED Pass. Ordering through our system is a breeze with innovative entry points. Entry for STAT medications through from a contingency Box three simple clicks of the mouse you can administer the medication safely. Ask one of our staff to review this with you in an online demonstration. 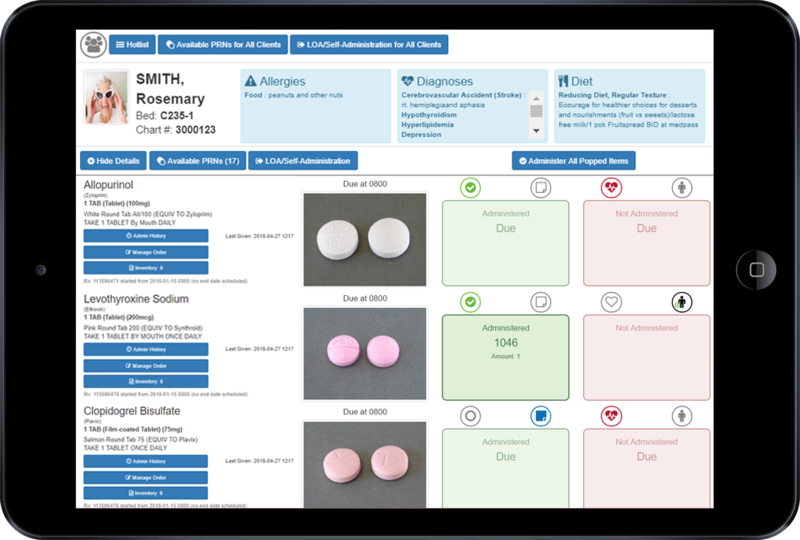 eMAR offers clients an innovative and integrated solution to medication & Treatment administration and is available in web-based and offline (syncable) applications. 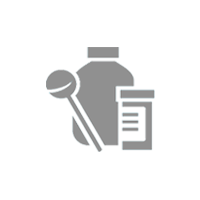 eTAR oﬀers clients an innovative and integrated solution to treatment administration and is available in web-based and offline (syncable) applications. Advanced syncing capabilities make MED e-care eMAR the only solution able to function in any organization without expensive network upgrades. Many retirement homes throughout Canada and the world are beginning to introduce technology into their homes. The first product they often consider is the electronic Medication Administration Record (eMAR) software. This affords an efficient method for delivering medications to the residents. Many residents in retirement homes continue to be independent are able to continue to take various medications without supervision. 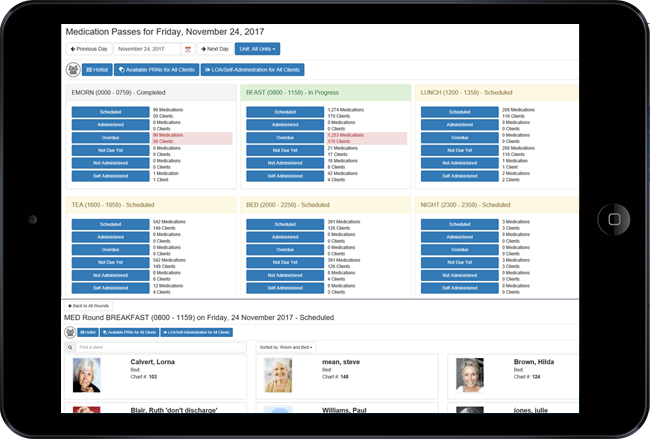 The introduction of the Self Administration button on the eMAR allows for the end user to capture this information without documenting it daily.